By Melissa Lennig on September 11, 2012 16 Comments. This content contains affiliate links. As an Amazon Associate I earn from qualifying purchases. I did it! I finally canned homemade tomato sauce. I’m even going to say that it was simple, and how have I never done this before? Fifteen jars of organic tomato sauce are now sitting on a shelf ready to be consumed this winter! The cost? One day and $26.00. My canning adventure began with ripe, locally grown Roma Tomatoes, freshly cured onions from the downtown farmer’s market, and the book Animal, Vegetable, Miracle: A Year of Food Life by Barbara Kingsolver. 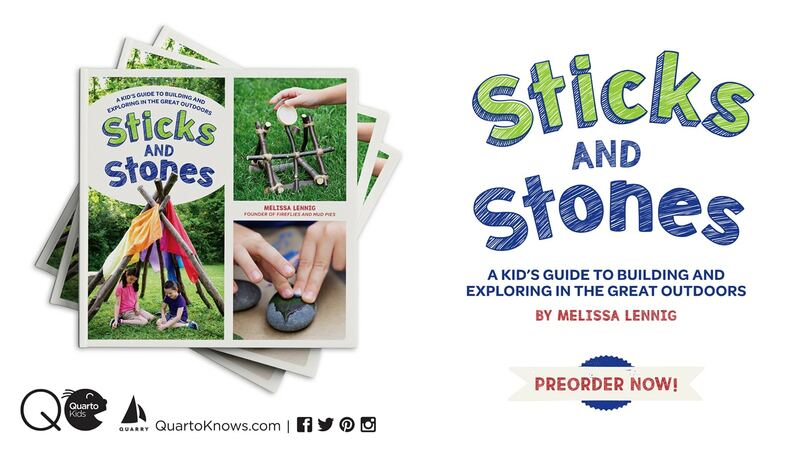 If you are passionate about homemade, homegrown food that nourishes body and mind, then this book is a must read! When I was finished with it, I wanted nothing more than to live on a family owned and operated homestead, complete with poultry, bees, and acres of gardens. Since that is not a possibility right now, I thought it was a good idea just to start with tomato sauce. I wasn’t a perfect tomato sauce canner by any means. I made a mess in the kitchen and clogged the kitchen sink drain (twice). I began canning one batch in the evening and rushed because I wanted to go to bed. Because of that, my jars didn’t seal properly (due to overfill). I had to dump all the sauce back into the pot and put it into the refrigerator for the evening so that I could reprocess it the next day. But, I had fun! And, I’m keeping my fingers crossed that my sauce doesn’t poison anyone. Please Note: This is not a canning tutorial. Always use hot, clean, sterilized jars for canning. 2 TSP SECRET INGREDIENT! Please click THIS LINK to the original recipe to find out what it is! 1. Purchase local tomatoes or grow your own to reduce the cost (I threw in some of my homegrown tomatoes!). Wash them well! 2. Puree the tomatoes in a food processor and soften the onions in a pot (without oil). 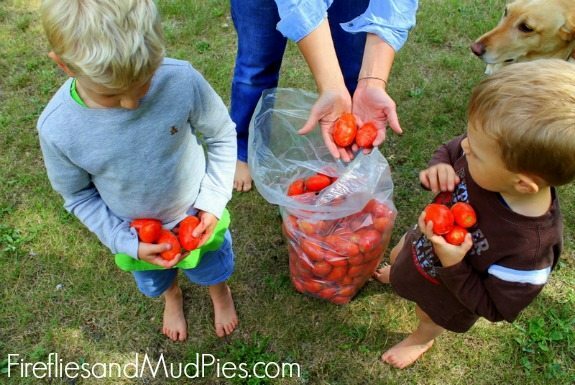 My oldest son kept a tally of how many quarts of pureed tomatoes went into the pot. 3. 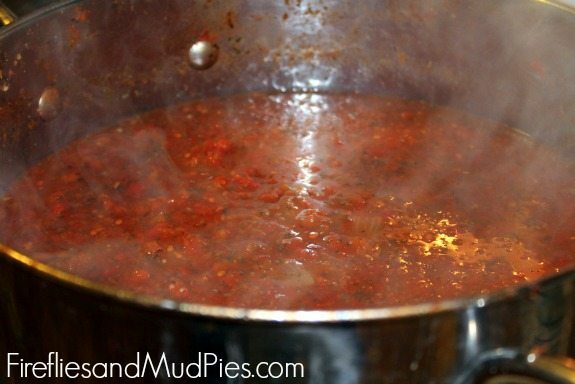 Mix the pureed tomatoes and all of the seasonings together in a large pot. 4. 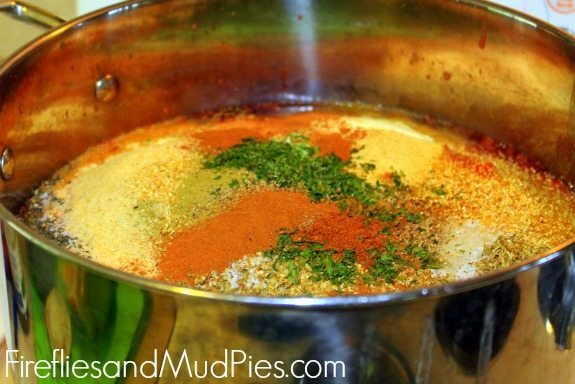 Bring to a boil and simmer on low heat for 2-3 hours. Stir frequently – especially towards the end. 5. Heat water in canner bath, sterilize jars in boiling water or dishwasher, and sterilize jar lids. 6. Add 2 TBSP of lemon juice OR ½ TSP of citric acid to each quart jar. This ensures that the sauce will be acidic, and safe to store on a shelf. 7. When the sauce is ready, ladle it into the jars leaving ½ inch head space. Put the jars into the canner and boil for 35 minutes. Remove, cool, check all seals, label and store for later. We tried some of the tomato sauce last night on spaghetti. It was so delicious, that I didn’t even think to grab my camera and take a picture. My boys cleaned their plates and had seconds! Do you have to use kosher salt? The recipe stated kosher salt, so that’s what I used. 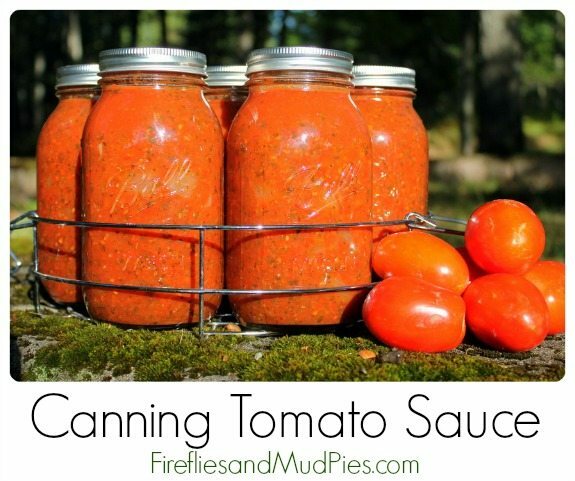 I’m a stickler for following canning recipes as directed. With that said, I normally use sea salt.